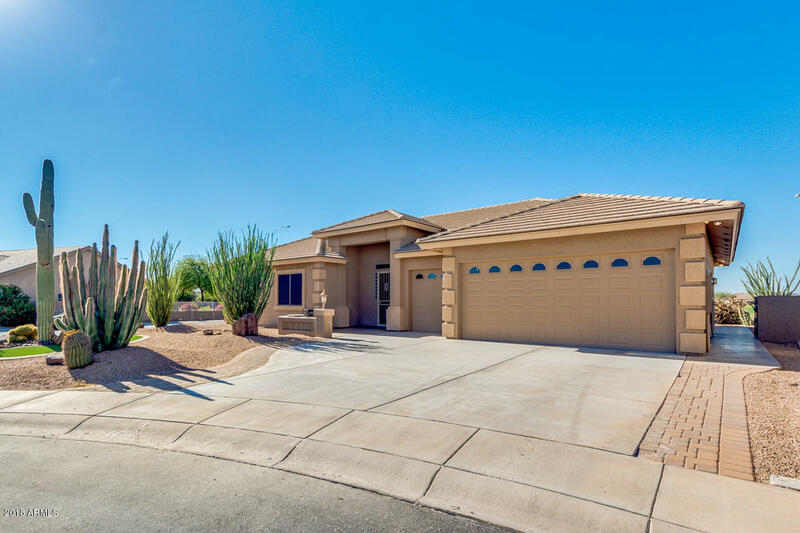 All SUNLAND SPRINGS VILLAGE U homes currently listed for sale in Mesa as of 04/23/2019 are shown below. You can change the search criteria at any time by pressing the 'Change Search' button below. "Expanded 2100 model with 2 1/2 car garage expanded. Fabulous views of the #3 golf fairway from relaxing back patio and pony wall. Lots of tile with berber carpeting in bedrooms. Custom kitchen with raised panel cabinetry. Cozy kitchen nook with views of golf course. Electric fireplace, built in Murphy bed, tons of upgrades. You will not be disappointed." 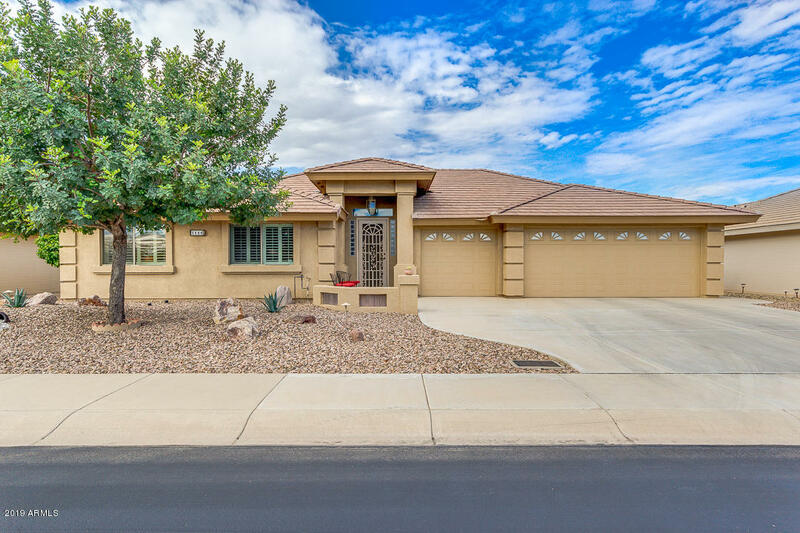 "Beautiful, Exceptional Rare Find Home on the Golf Course, Located in the Highly Sought after Active Adult Community of Sunland Springs Village. Upgrades Galore/No Expense has been Spared in this Exquisite Home. Dramatic Vaulted Great Room. Hardwood Floors in the Great Room,Dinette and Den. Kitchen Features Upgraded Cabinets and Rollout Shelves in the Pantry. Master Bedroom Suite Features Coffered Ceiling. Large Master Bath Features Walk in Snail Shower. Large Walk in Closet. Beautiful First Impr"
"Unique Three Bedroom Home Plus Private Quest Quarters. 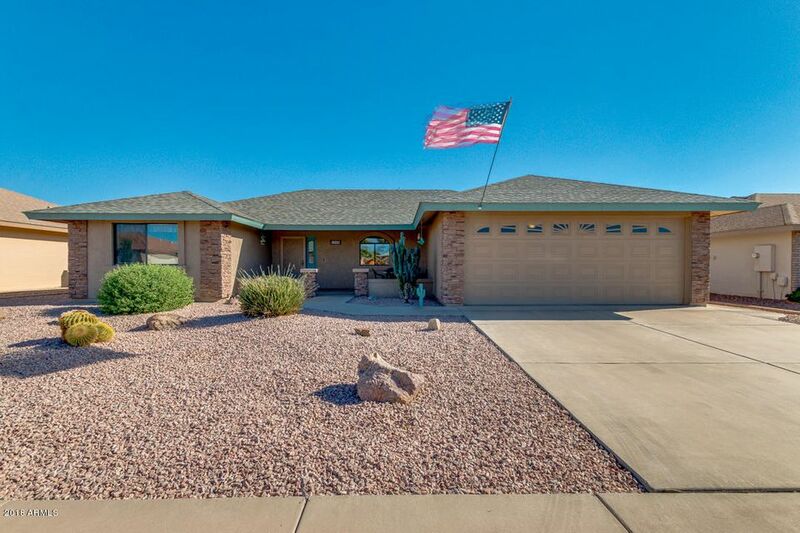 This Home is Nestled in the Heart of the Prestigious Active Adult Community of Sunland Springs Village. Dramatic Vaulted Great Room, Split Floor Plan. Super Block Wall Construction. Beautiful Front Courtyard Patio with Mountain View. Sunny South Facing Backyard. Professionally Landscaped. Newly Painted Interior. Very Desirable Established Location. Home is a Must See. Call Today for Viewing !!!"